Podcast logos must be legibile at small sizes for different digital platforms. Big, simple type; strong color contrast; and direct visuals convey the content and tone of the podcast. 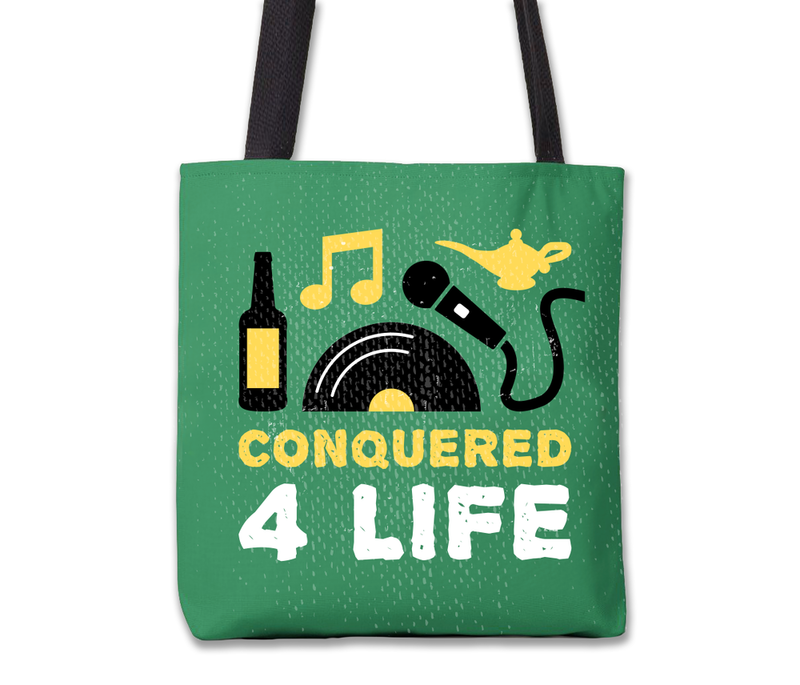 On Conquered 4 Life, singer-songwriter Christopher Ford (Christopher the Conquered, Maximum Ames Records) and co-host Chris Biagini (aka "The Genie") discuss the music business with a variety of guests. Ponytail Dads is a rock music roundtable discussion podcast in association with Rocknuts.net. The podcast name pokes fun at the prototypical record collecting, classic rock-loving "old dad rocker" archetype.